Large dog beds at discount prices in sizes for large and giant breeds. 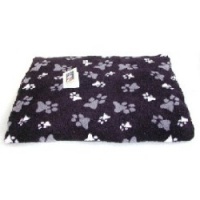 Huge selection of extra large beds for big dogs - all at some of the cheapest prices online. Finding a suitable bed for big dogs can be tough - pet shops don't usually have anything large enough. Big Dog World specialises in top quality products especially for large and giant breeds, and we have a range of excellent dog beds to suit all sizes and budgets. Top quality thermal large dog beds for cold winter nights, contemporary luxury designs for a touch of style, and tough dog beds for working dogs. 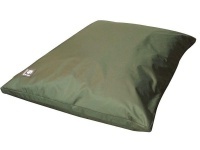 We also have waterproof dog beds to cope with rainy days and wet muddy paws, memory foam dog beds for ultimate comfort and support, and raised dog beds - great for senior dogs and those with joint problems. Warm, safe And hygienic. 54" x 30"
Polar Fleece for an incredibly soft and warm yet tough finish. Bolster style bed with drop-front in faux suede. Protects your car boot, with removable bumper flap. Tough, practical, waterproof bed for wet muddy dogs.